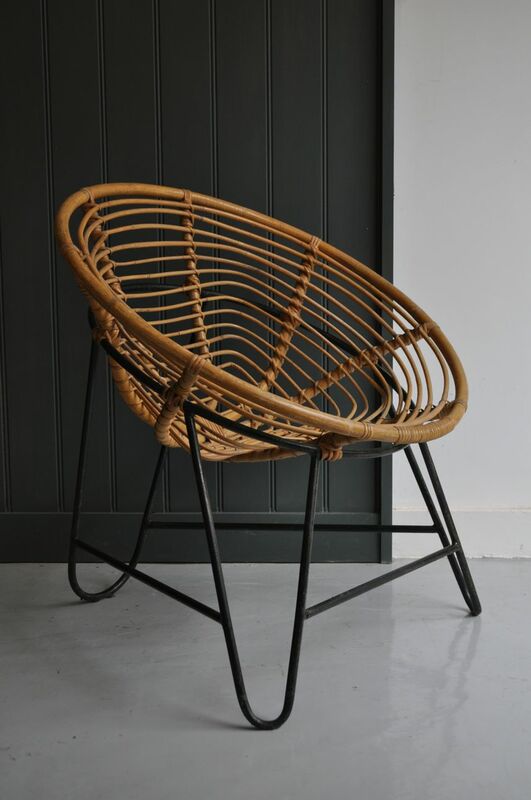 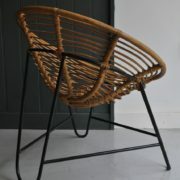 Continental wicker chair on black hairpin legs. 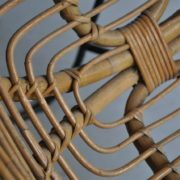 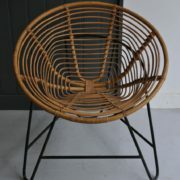 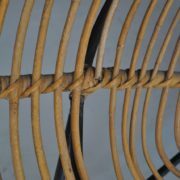 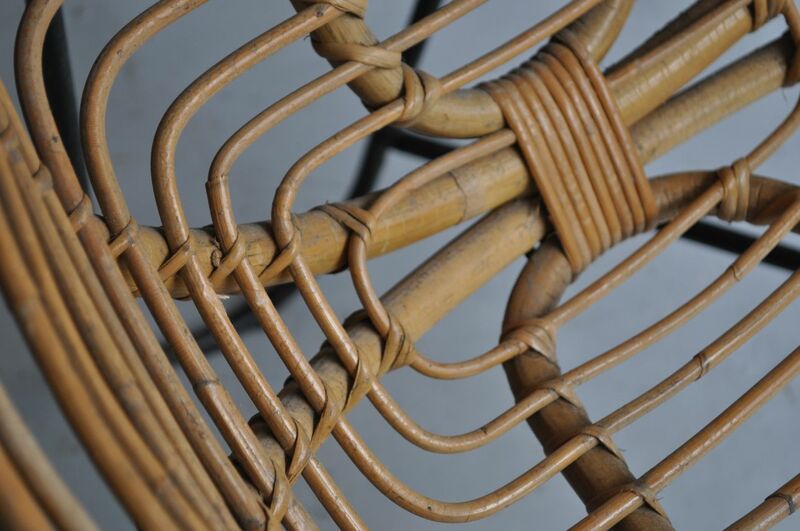 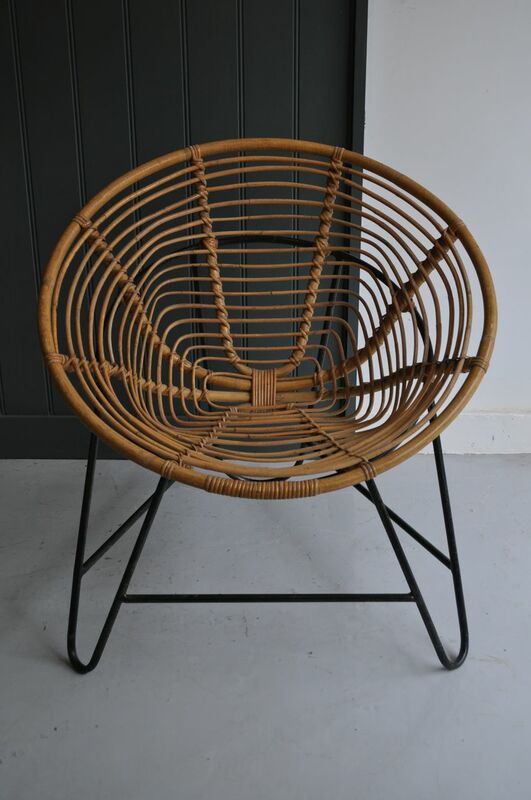 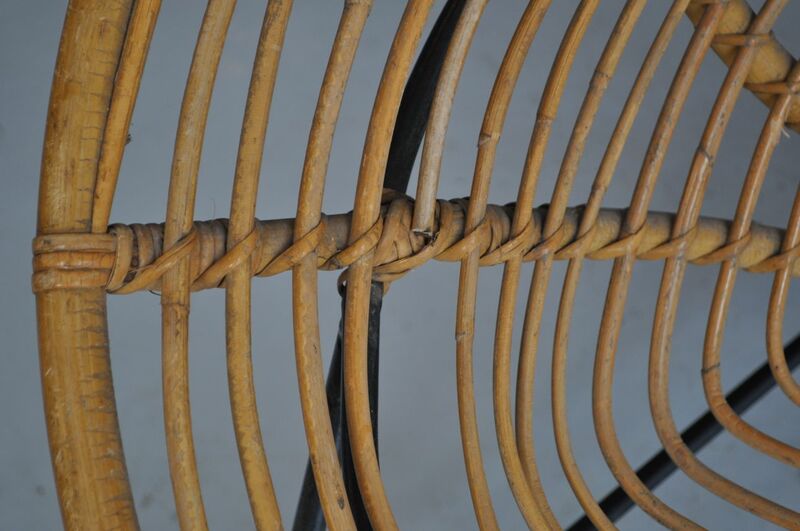 Lovely spiralling design, with only one small area of broken wicker – please see picture. 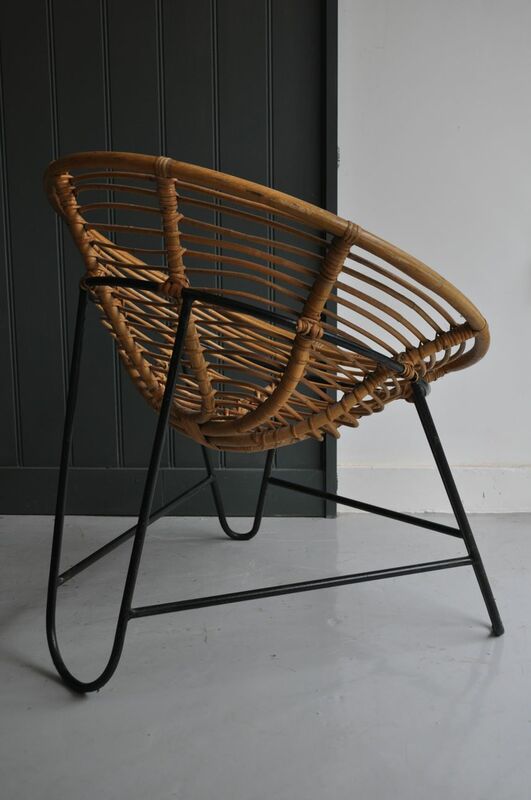 Rod frame in original black paint, with minor wear in keeping with.